In 2016 the work of the United Nations (UN) main forums in New York has been focused on the needs of the marginalised communities, including indigenous populations and refugees, as well as on the implementation of the Sustainable Development Goals (SDGs). 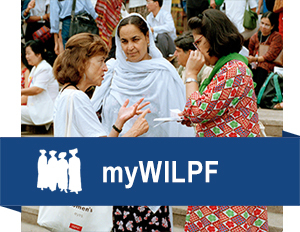 As part of our work to strengthen conflict prevention efforts through disarmament and investing in gender equality, WILPF’s Women, Peace and Security team – PeaceWomen – has monitored and analysed the political discussions around the major forums organised by the United Nations. In July, PeaceWomen has attended the very first session of the High Level Political Forum (HLPF), the annual accountability mechanism for the SSDGs, and monitored the Forum for gender and conflict issues, focusing specifically on SDG 5 (empowering women and girls) and SDG 16 (stable and peaceful societies). We also leveraged this space to build momentum on strengthening accountability and financing of gender equality and peace through a two-day workshop and follow-up side side event on Women, Peace and Security (WPS) Financing. During the 2016 High-Level Summit for Refugees and Migrants, Member States adopted the New York Declaration on Refugees and Migrants acknowledging a shared responsibility to address the needs of refugees and migrants in a humane and people-centred manner. Later this month, the 71st Annual United Nations General Assembly (UNGA) General Debate took place. PeaceWomen’s analysis of the statements at the general debate reveals that there is much more work to be done to build adequate political will and commitment to gender equality and holistic understanding and implementation of the WPS Agenda.